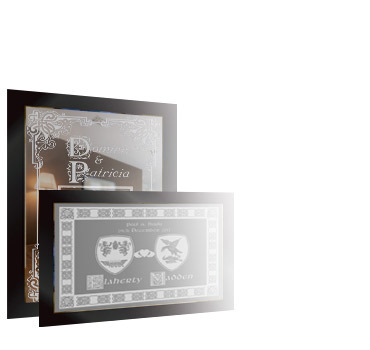 Browse our collection of coat of arms & family crest etched mirrors! 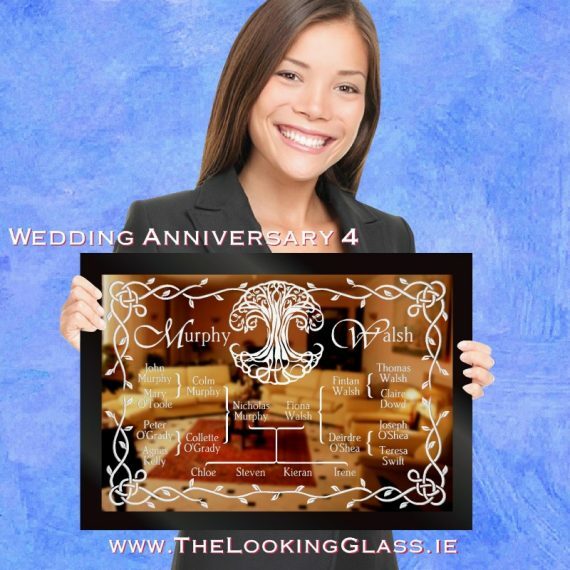 This range of unique and personalised engraved mirrors has something for every occasion, from wedding days to 60th wedding anniversaries! 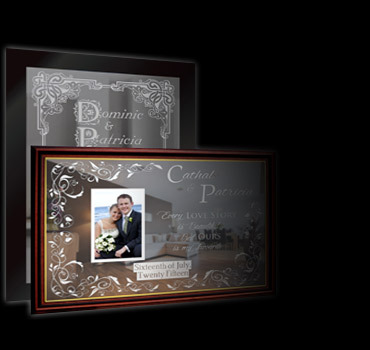 Our selection of beautifully engraved wedding gifts will quickly become the favorite gift item of the happy couple! 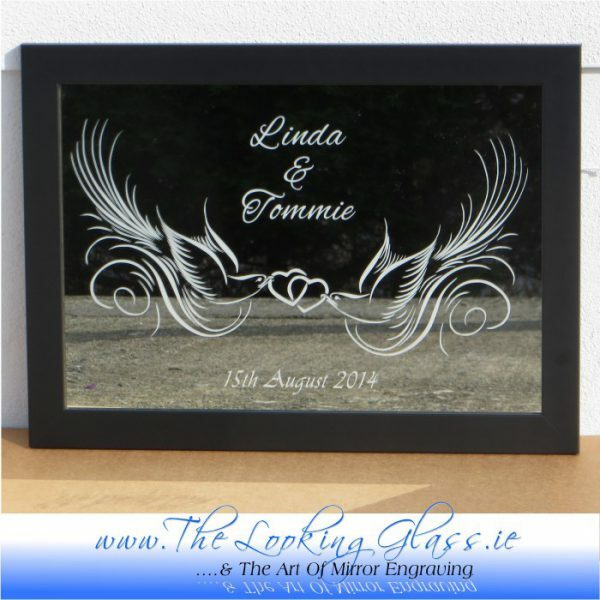 Each engraved mirror is personalised with the bride and groom’s names, wedding date, any other details you would like to add! 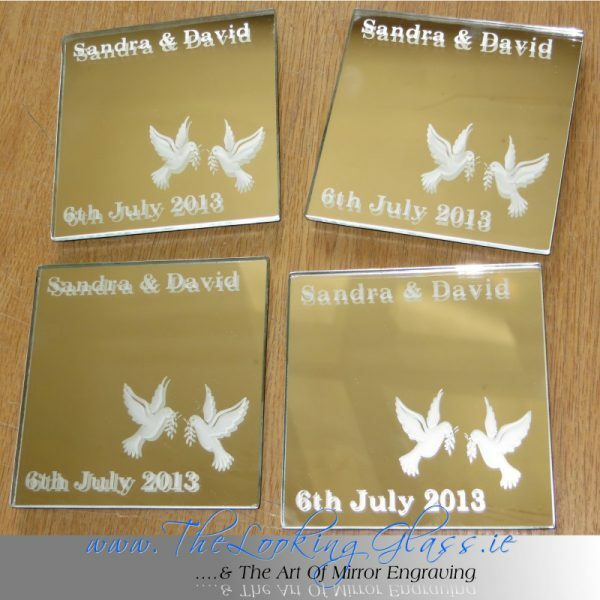 Celebrate your parent's big wedding anniversary with a personalised etched mirror gift! 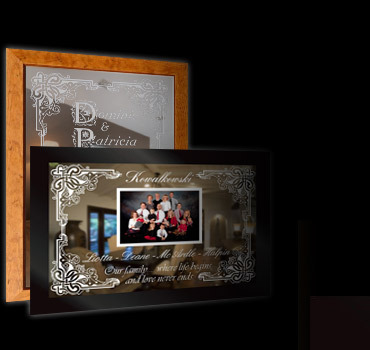 Whether the occasion is Silver, Ruby, Gold or Diamond we'll create a gift that you'll be proud to present! 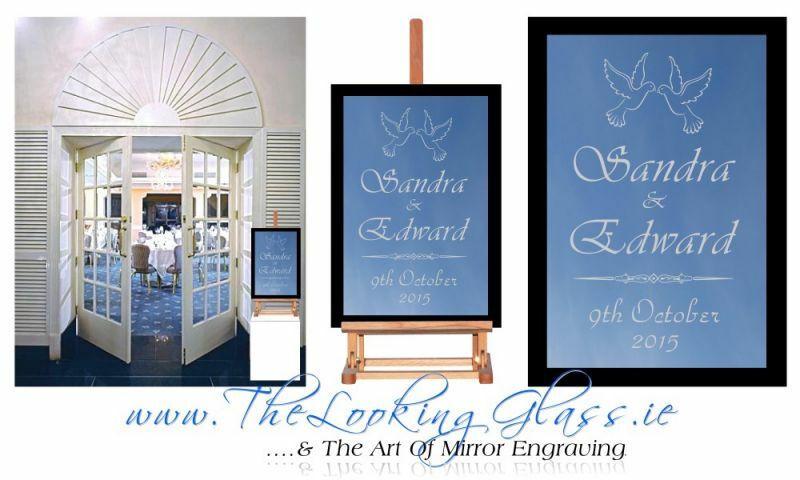 Each beautifully engraved mirror is personalised with the couple's names, wedding date, and more if you wish. 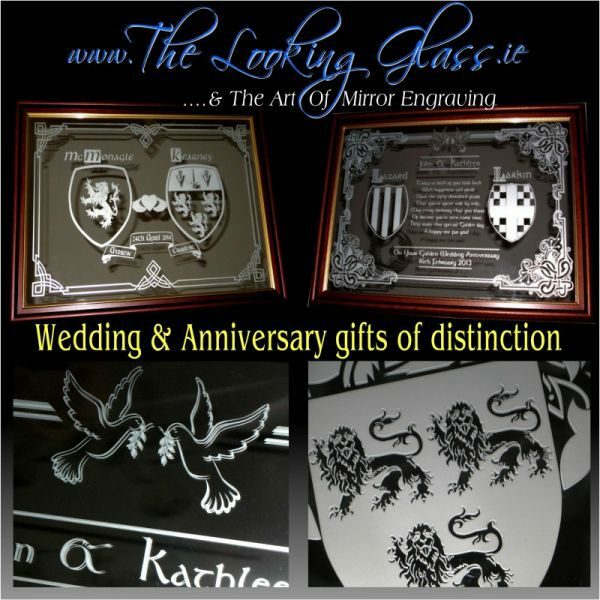 Engraved mirrors made in Ireland and personalised with a Family Crest ( Coat Of Arms ) make beautiful wedding gifts! 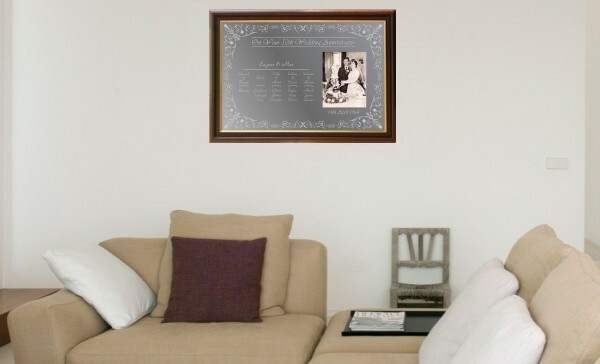 We make engraved mirrors that are unique, personalised and affordable and deliver them directly to your door! 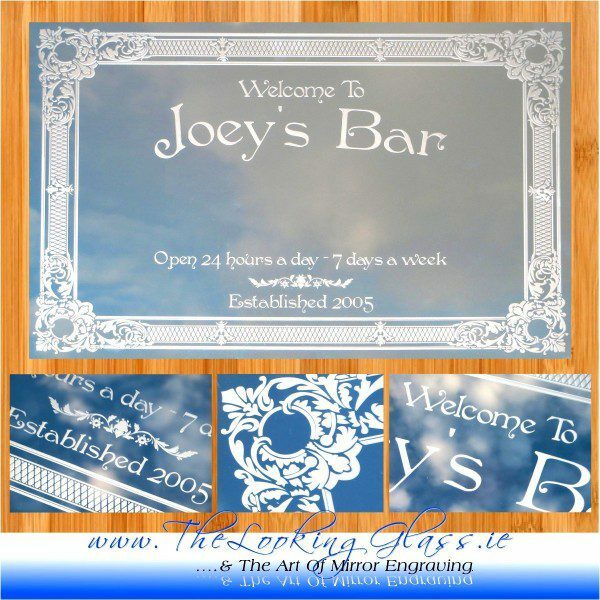 Traditionally engraved bar mirrors for home and business premises. 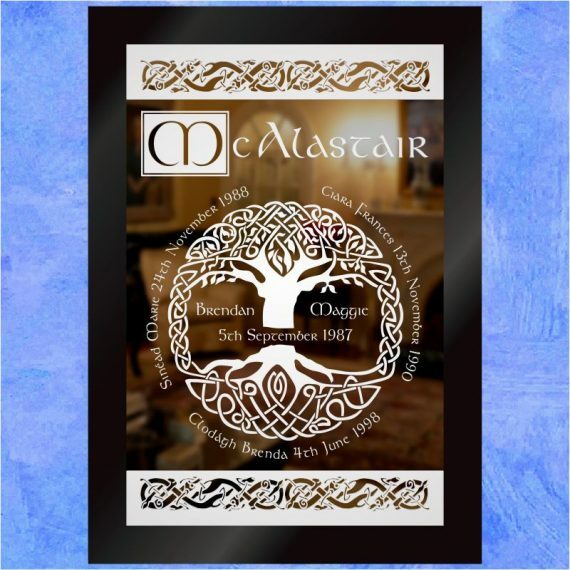 Each design is customiseable! 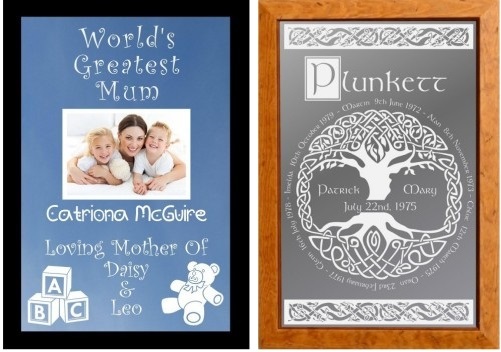 Engraved mirrors make ideal gifts for Mothers Day, Birthdays or just simply as a token of your appreciation. 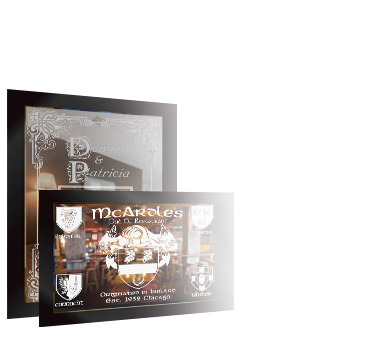 We can engrave all types of logos and crests including Corporate, Family, and Sports; making the perfect gift mirror! 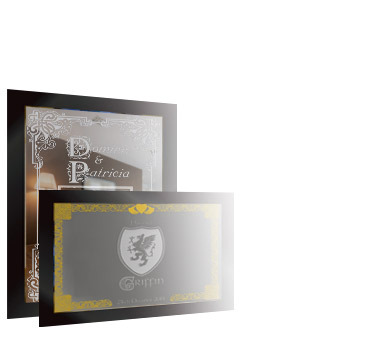 To view our full range of mirrors, visit our online gift store.